Called them on a Sunday for basement cleaning after a backup, they were out to our house within a couple hours. They did a great job, I would definitely recommend! We are a water damage restoration company in Minneapolis MN that offer immediate response, years of experience and the best trained staff in the industry of residential and commercial water cleanup. Our commitment is to restore your property to like-new condition, before flood damage. We work with most insurance companies and we’ll help guide you through the claim process. Done Right Carpet & Restoration, Inc. is available 24/7 for any commercial or residential flood emergency. Our qualified water damage Minneapolis technicians are on call. We offer immediate emergency water cleanup response, with years of experience in emergency water damage and the best trained staff in the industry. Our goal is to take care of your Minneapolis water removal and restore your property back to its former like-new condition. We work with all insurance companies. Flood damage is hazardous to your health and the integrity of your home or business. Water cleanup that is done quickly can minimize damage, reduce restoration costs and prevent mold or other contaminants. Time is of the essence when water damage occurs, whether the source is from a broken or leaky pipe, a toilet or sink overflow, a slab leak, refrigerator, dishwasher or washing machine, or flooded basement, attic or crawlspace due to storms, we will find the source, stop the flooding, and provide full extraction and structural drying. We then provide full damage restoration and rebuild. Hardwood floor water damage doesn’t stand a chance! Winter can be the most devastating time of year for water damage. Water pipe bursts are common in Minneapolis where extreme winter cold and high winds that drive the wind chill well below freezing temperatures. Pipes that lack proper insulation and are exposed to the winter’s cold are far more likely to create a need for restoration. Broken pipes can also be a common cause of water damage, causing gallons of water to come flooding through your living rooms, bedrooms, kitchen, and bathroom. 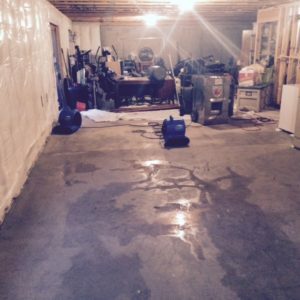 Minneapolis water damage in your basement is exceptionally common in the area since most basements will experience broken pipes, improper grading, leaky windows, failed sump pumps, seepage, or leaking foundation walls. 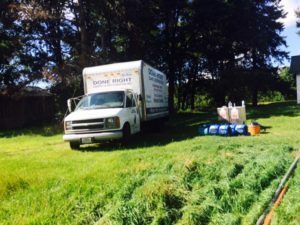 Done Right Carpet & Restoration, Inc. has been a leader since 1992 for the Minneapolis area specializing in residential and commercial restoration services. Call us at (612) 331-4454 to get a hold of one of our flood damage Minneapolis technicians at the first sign of trouble. In a few short moments severe weather, broken pipes or floods can cause serious water damage to your home or business, easily costing you thousands of dollars. To prevent even more costly damage from occurring it is vital to contact an emergency flood cleanup company and have the water cleaned up and structures dried immediately. 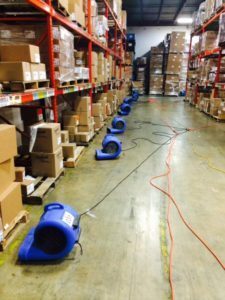 That is why we offer top-of-the line Dehumidifier and Fan equipment rentals. Whether you need a small area cleaned up, or need the equipment to do the job yourself, you can be confident you have the proper state-of-the-art equipment to clean up any water damage. Done Right Carpet & Restoration is located at 8236 Arthur St NE, Spring Lake Park, MN 55432. We can be contacted 24/7 at (612) 331-4454. We service Minneapolis MN including 55401, 55402, 55403, 55404, 55405, 55406, 55407, 55408, 55409, 55412, 55413, 55414, 55415, 55417, 55418, 55419, 55450, 55454, 55455. Click here to view our service area. Dealing with the insurance company and their process can be a hassle and time consuming. We work with all insurance companies to help make the water claims process as painless as possible, so you can deal with the important stuff and get your life back in order. Damage to your home or commercial office can be devastating and costly. It’s extremely important to get the job taken care of right after it happens, no matter what time of day or night. We offer Emergency Service 24/7 to the entire Minneapolis MN area. We offer top-of-the line Dehumidifier, Fan, Air Scrubbers, and Ozone Machine equipment rentals. Whether your cleaning it up yourself or a company that is low on equipment for your large job. 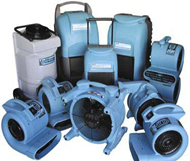 Our water damage equipment is yours! Immediate Emergency Response, Call Day or Night!